With the changing of the seasons comes a new batch of produce we can’t wait to bring into our kitchens. Certain fruits and vegetables thrive in the winter, blossoming into crimson orbs and jade stalks even as the temperature continues to trickle down, down, down. These hardy crops are most flavorful and fresh when harvested during peak season because they travel a shorter distance to reach your local grocery store or farmer’s market. For similar reasons, they can also be more affordable and have a smaller impact on the environment. 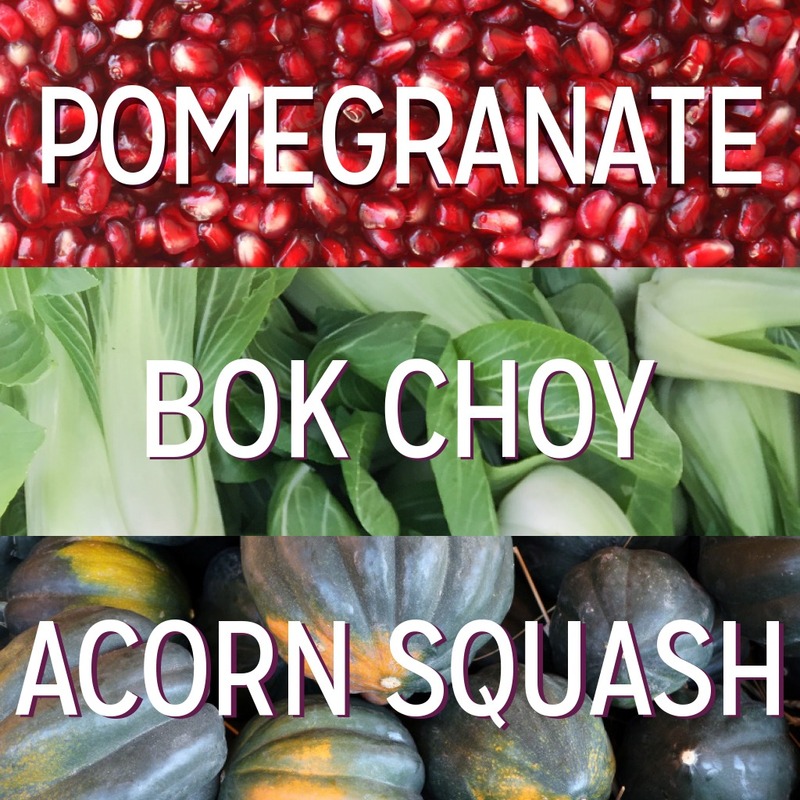 To help you enjoy all of these delightful benefits, we created this winter produce guide. It details what’s in season during December, January and February (exact peak times vary depending on where you live), provides some fun facts about the produce, and offers up some tempting recipe ideas. Nestled inside this maroon fruit are little rubies that are taut with sweet and tangy juice. These rubies are called “arils” and are the edible part of a pomegranate. Depending on its size, there can be thousands of arils nestled inside a single pomegranate. Selection: Ripe pomegranates are bright red and have flat, sloping sides. Back away from pomegranates that are uniformly round or have cracked skin - these are signs they’re past their prime. Storage: Keep ripe, unopened pomegranates at room temperature, or in the refrigerator if you want to keep them fresher for longer. You can store pomegranate arils in the refrigerator, or freeze in a tightly sealed bag. 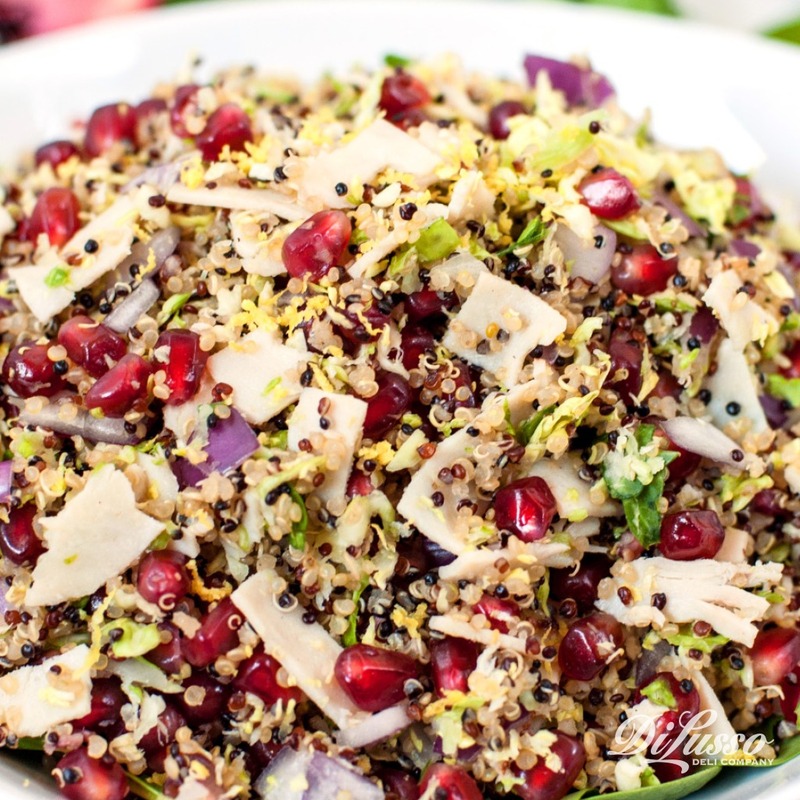 Once you’re ready to break out the arils, try tossing them in a savory dish like this Warm Quinoa Salad. Their sweet flavor will contrast nicely with the quinoa and oven roasted chicken while their tartness will complement the earthy greens. The arils also add a nice pop of color and a satisfying crunch. A member of the cabbage family, bok choy is known for its mild, peppery taste and crisp texture. There are more than 20 different varieties of this versatile vegetable that have been cultivated in Asia since ancient times. Selection: Look for bright green leaves and creamy white stems. Avoid wilted, broken or spotted leaves. Storage: Store unwashed in the crisper drawer of your refrigerator. Bok choy is best when eaten within a few days of purchase. One of our favorite ways to cook bok choy is to simmer it in a savory broth, like in this Beef & Veggie Hot Pot recipe. 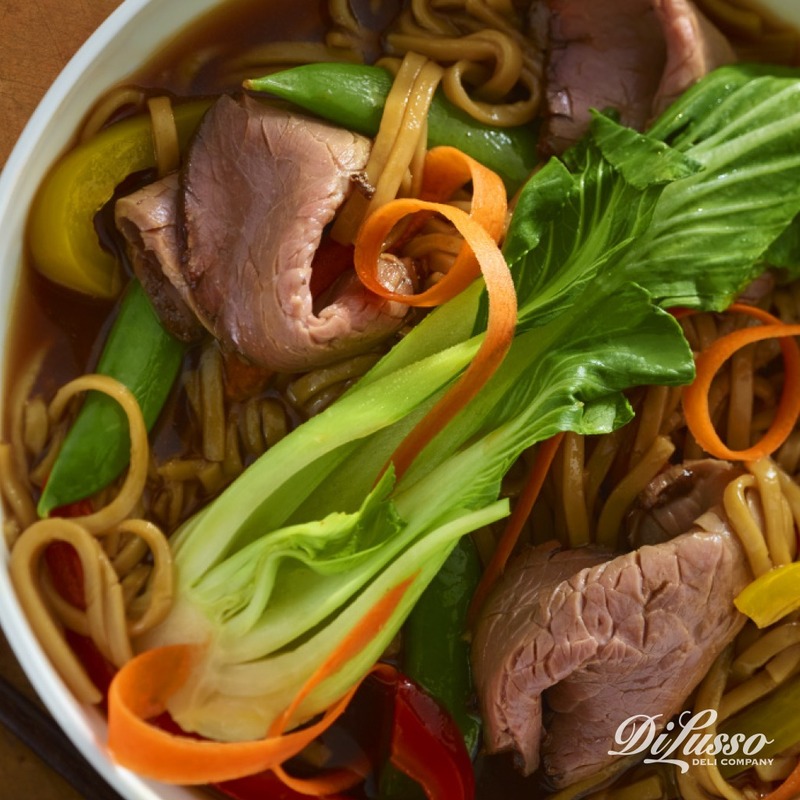 Its crisp leaves become soft and supple, and its unique flavor seeps into the broth, mingling tastefully with ingredients like snappy bell peppers, aromatic garlic and seasoned roast beef. While many squash varieties are in season during the winter months, acorn squash has a particularly unique taste (mild with sweet and nutty undertones) and shape (like an acorn, hence the name). Unlike other types of squash, its skin is edible and can be a great way to add texture to recipes. Selection: Choose acorn squash that have dark green and orange skin. They should be firm on the outside and feel heavy for their size. Steer clear of squash with soft spots or blemishes. Storage: In a cool, dry place. Do not wash before storing to prevent molding. Baking tends to be the most popular way to prepare acorn squash, but we are big fans of sautéing it until it’s tender, browned and slightly crispy around the edges. 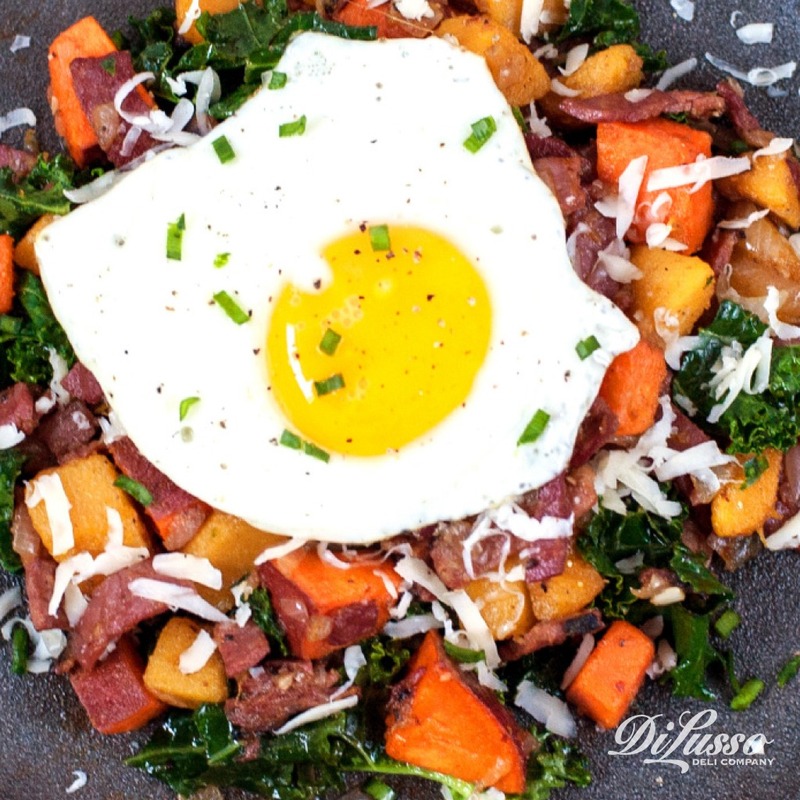 This technique works particularly well in our Squash & Pastrami Breakfast Hash recipe. The squash is sautéed alongside onions, sweet potatoes, garlic and pastrami for a unique combination of flavors. To top it all off – sunny-side up egg. Squash Galette with butternut squash, dried cranberries, and smoked cracked pepper ham and Swiss. Balsamic Brussel Sprouts with crispy prosciutto.